We stock all your favorite brands, including Parker. We are actually an authorized ParkerStore so you know you’ll get authentic Parker pumps when you shop with us. If we don’t happened to have the exact hydraulic pumps in Wilmington CA you need in any of our stores, we can place a special order for you to make sure you get the right pumps. In order to achieve efficient and stable fluid pressurization and power delivery, you need a high-quality hydraulic pump that is perfectly suited to the demands of your hydraulic equipment. 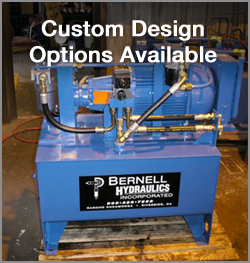 If you’re at a loss as to which pump to choose, come talk to the pros at Bernell Hydraulics. Our staff members are intimately familiar with all kinds of hydraulic applications and they can certainly help you understand the pros and cons of various makes and models of hydraulic pumps in Wilmington CA.